Taking the kids outdoors is such a good activity, a way to get them away from sitting in front of the TV or being glued to YouTube. I wanted to show Lily some ‘real life’ – trees and ducks, fresh air and the sound of nature. 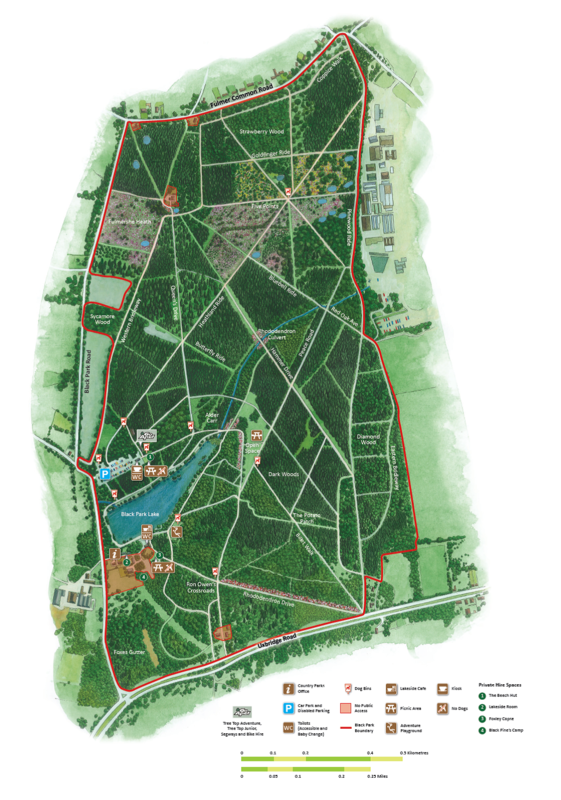 Black Park is on our doorstep but I’ve always been a bit nervous to go there on my own – it is HUGE and you don’t want to get lost in the middle of a forest! But, what if I was to tell you that there is a side to this forest that actually is toddler-friendly, so you can leave the buggy in the car. Walkable, with a cafe and toilets AND a playground. Not in the middle of nowhere, yet still feeling like you are in the middle of nowhere but with friendly people around. Park your car towards the EXIT side of the car park. I paid £3.70 for 2 hours parking, but next time I would pay the extra 80p, £4.70 for 3-4 hours, as you do have to take into account toddler steps and that your toddler may not want to leave the playground! So, on the left of the EXIT side of the car park is an entrance to the ‘Lakeside’ part of Black Park. Don’t go to the ‘Go Ape‘ entrance, that goes the long way and there are usually dog-walkers and the dogs are not on leashes. The ‘Lakeside’ entrance is family-friendly, buggy-friendly, and dogs have to be on leashes. I went with Lily without the buggy as she can walk quite far. At the end of the short path, you will see the lake. It is beautiful and tranquil, it really is lovely. Turn RIGHT and walk around the lake. Do not turn left and that takes you deep into the forest part of Black Park. Basically you want to walk towards the cafe and the playground. The lakeside walk is great for toddlers, it is flat, there are lots of benches and flat logs to sit on if their little legs get tired. There are other people, so it’s not scary. Literally every person says “Good Morning” as you walk by. There are ducks and swans to look at, which every toddler finds exciting. But while some sides of the lake have a fence, most of it doesn’t, so just be careful. The path is huge, so you don’t have to walk near the edge at all. It does feel safe, and Lily walked along all the logs. In the below photo, the cafe is across the lake, directly opposite to where Lily is standing. It took about half-an-hour to get to the cafe – that’s including sitting down and admiring the view, taking photos and a toddler pace of walking. The cafe is called San Remo and it is lovely. There’s an outside terrace that looks over the lake, but we sat inside as they had the radio on and we like to hear music. We got a cup of tea and a fruit shoot for £3.50. The cafe has a lot of seating, is very modern in decor, has a baby station and highchairs. There are loos that are clean and include baby change. There were lots of options for food and snacks, but we had brought our own rich tea biscuits hehe. Lily chose to sit at this bench and she was really happy here. I really liked the atmosphere in here, and the views. I felt like I was on holiday! When it was time to go, she said “BYE” to everyone. Out the the cafe, turn RIGHT and you will see quite a large gated playground. A playground in the trees, it feel so enchanted, such a world away from the usual playgrounds. The equipment is all wooden themed, it sort of blends in with the nature. One side is toddler-friendly, the other side more suitable for primary school-age children. Lily wanted to stay here forever. She loved the swings and the slide inside the wooden castle – she spent ages on these two things, ignoring everything else. She had the best time, laughing and climbing. I had to carry her away as that’s when I realised my parking ticket was going to run out. This is where you will lose yourself in time, we somehow spent about 45 minutes here. It didn’t seem like it, and I would have been happy to stay. The sun was out and it was lovely being somewhere so peaceful yet fun. The walk back to the car park took 15/20 minutes – as Lily wanted to climb on logs and watch the ducks. So yeah, I’d get 3-4 hours parking next time. So that’s how you can do a toddler-friendly walk in Black Park, chill and rest your legs in the cafe and then let the kids have fun in the playground, with the re-assurance of a loo nearby. We went straight after dropping Tyler to school and got there at 9.15am, and we were home by 11.45am. A pretty good morning activity for a sunny day, I would say. Do try it out! Being very close to Pinewood Studios, Black Park appears in a lot of films. Offhand, I can think of “Carve Her Name with Pride”, “Bugsy Malone”, “Please Sir”, “Carry on Cowboy”, “Carry on at your Convenience”.